You will fall in love with this stunning 2-Story with custom amenities. Don't wait to build this home is move-in ready with all the goodies including delightful sitting & rocking porch. 5 spacious bedrooms, 4 baths, & large laundry room on main level. You will love cooking & entertaining in your gourmet kitchen, large island, pantry, two ovens w/breakfast nook overlooking the great room. This unique home features a park-like backyard w/hot tub, perfectly situated on 1/4 acre. 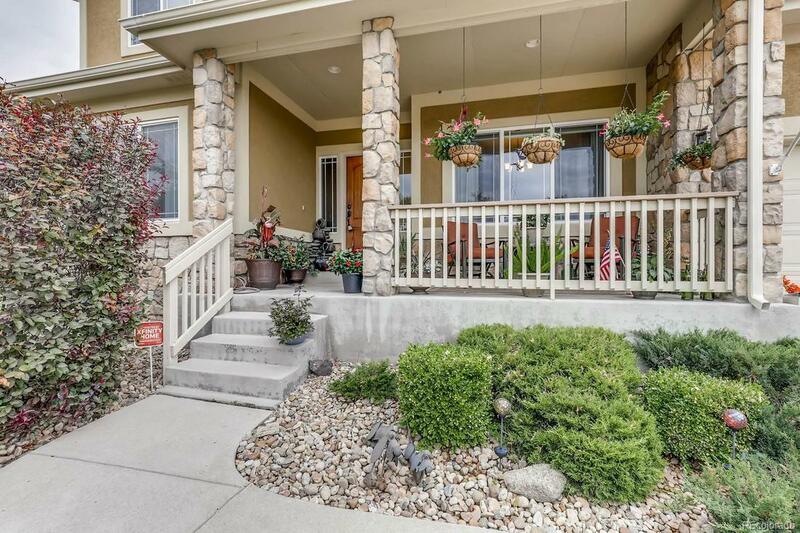 This home boasts a master on main level w/fireplace, 5-piece bath w/jetted tub. Basement w/Mother-in-Law Suite, Jack-n-Jill bath, sewing room, game room w/wet bar, exercise room, & other rooms use as you choose. Wonderful location approx. 35 minutes to DIA, close to I-25. Truly big-city living with the charm of country lifestyle. New roof shingles, duct cleaning entire house for cleaner air! View virtual tour by clicking on the movie reel icon located under the picture home shows great & shows like a model.